A new podcast for Middle-earth. Made for your first and eleventy-first time to J.R.R. Tolkien's high fantasy world. Served up from The Green Dragon in Bywater of the Shire. Nick and Nicholas recorded their very first episode, which is conveniently referred to as Episode Zero. This test episode takes us on a journey that will be very rare in the arc of this podcast. We re-cast the Lord of The Rings movie trilogy with the cast and characters of the Harry Potter film series. If you are just now learning who I (Nicholas Jon) am, I recently created a Facebook group for people who wanted to re-read Harry Potter. This "Re-Read Harry Potter" group was fairly popular, and now I am turning my sights on another literary love, Lord of The Rings. Along with my long-time friend Nick Andrew, we want to dive into Middle-earth and explore it from all the angles. In order to tie the two series together (and to be fodder for a test episode) we chose to do this re-cast/mashup of the two fandoms. This is your "heads-up" because - we had so much fun choosing our cast, that we want to give you the chance to make your own! Use the link below to download a PDF of the chart we used to make our episode, and fill it in. Then share it with us as a picture or attachment on Facebook, Twitter, or by e-mail: contact@greendragonlive.com. We really want to see your picks and see what choices you made in your version of the story. Special thanks to our friend Harry Murrell for the use of his music. Listen to more and subscribe to his channel here. The Nicks talk about Tolkien's feelings regarding allegory, and our own thoughts about the story. And a little bit about how The Nicks met and bonded over Tolkien. 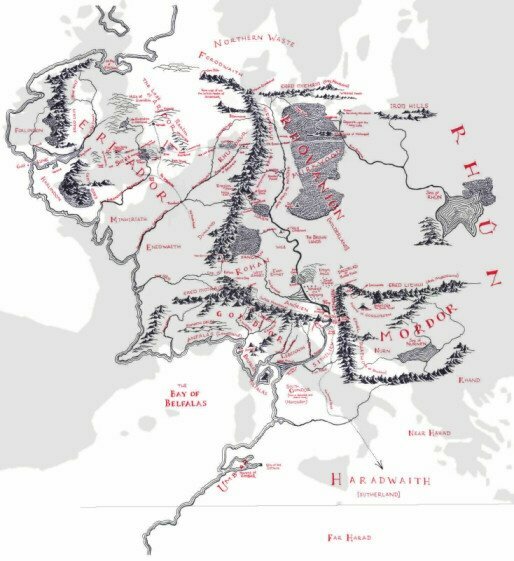 LoTRproject.com interactive map - Caution: spoilers for new readers! Eucatastrophe - neologism coined by Tolkien from Greek ευ- "good" and καταστροφή "destruction"
Rauros Etymology - Onomatopoetic - Tolkien sketched out that it might mean "Roaring Spray, " but it is also noted to be "Rush-rain" or "Roar Rain"
The Nicks take a moment to the stand back and prepare for the beginning of the The Lord of The Rings. Looking at Middle-earth in a snapshot view, and discussing the state of the world as we enter into the story. The Nicks preview some of the different regions and key sites in the narrative of The Lord of The Rings. Follow along with the map in your book, or one of the maps provided in the show notes. Nick is all fired up as we he and Nicholas discuss the baddies of Middle-earth, their origins, their pros, cons, and abilities. As the discussion about the various peoples comes to a close, we hope that you feel a little more prepared to enter into the world having a little bit of insight as to what to expect from these people and creatures. Next time we will take a very quick tour through the locations of Middle-earth and try to give some perspective of the scale and distance between the various sites we come across in the story. 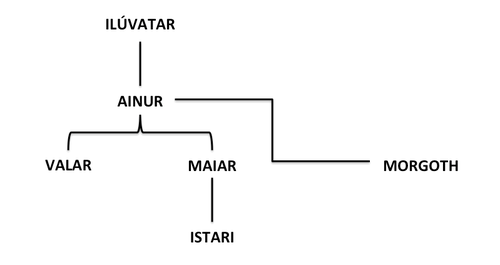 The Nicks discuss Men and their mortality and being the 2nd children of Iluvatar., how different they are in every region, and languages. And also the Dwarves, their creation mistake, the animosity between them and the Elves, and the way each race copes with the evil of the world. Welcome to the Green Dragon! In this episode, the Nicks briefly discuss the immortal race of elves, and why they don't look like Santa's helpers, and the wizards who just happen not to be human, but a special contingent of the Maiar sent to assist Middle-earth in resisting Sauron. This prologue series is leading up to a chapter by chapter discussion and reflection of The Lord of The Rings. We invite you to grab your copy and join us in a read-along whether it is your first time or eleventy-first time in Middle-earth.